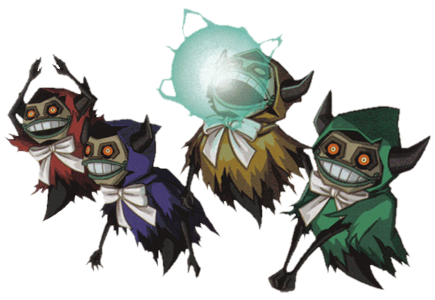 These are the Diabolical Cubus Sisters and are fought on top of the Ghost Ship Dungeon in Zelda: Phantom Hourglass. The first time Link sees them one after another, he is rescuing them in the Ghost Ship and they thank him and bring him to the top of it. There they are re-uniting and reveal their true forms and start to attack Link with the good old “Dead Man’s Volley” Battle we have seen in fights against Agahnim or Ganondorf before. 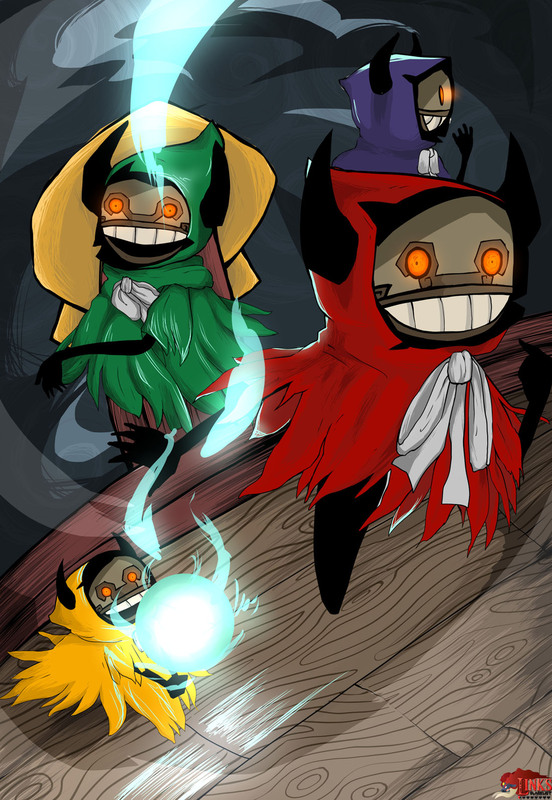 Our first submission of the Cubus Sisters was also one of the first three Zelda: Phantom Hourglass boss illustrations and was drawn as part of the third round of Link’s Blacklist in June 2013 by PeteyXkid from the United Arabian Emirates.